One of the Capital Regions newest SUV stretch limousines is just what the doctor ordered when it comes to transporting a larger group. Our 2008 Expedition seats 12 passengers comfortably and has style to go along with it. 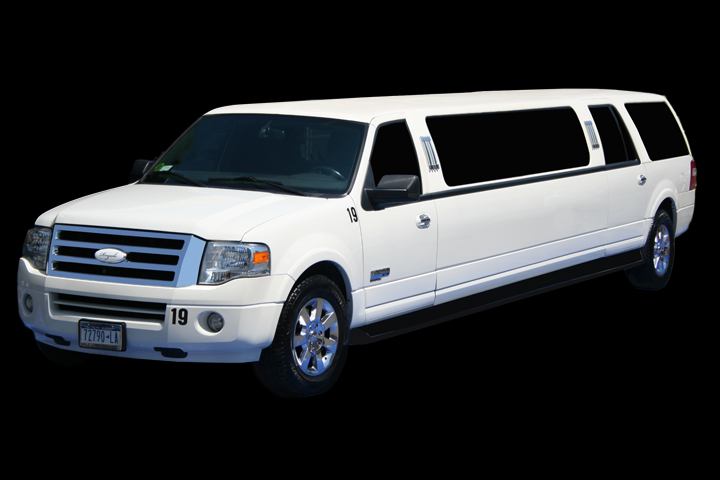 This Expedition comes loaded with state of the art fiber optics and lighting, CD player, DVD player, Flat screen TV’s, a stainless steel chrome bar and all the latest limousine amenities. When smaller stretches just won’t do the trick, you’ll be happy you chose our Expedition.